Noma in Copenhagen has been considered the best restaurant in the world for a long time. It has been crowned for three years (2010 – 2012) and, after a break of another year, confirmed in 2014 by the jury of the “World’s 50 Best Restaurants’ Award”, the prestigious international competition sponsored by Restaurant magazine and sponsored by San Pellegrino, bringing out on a planetary scale its chef and mentor René Redzepi among the prized protagonists of the culinary art. The consequences of this success are far too obvious: Noma in Copenhagen has become a pilgrimage site for every gourmet worthy of the name, while the international gastronomic scene has been witnessing, astonished, to the miracle of the invention of a new cuisine at the heart of the old continent. To understand the reasons for that, it might be better go back to a short story by Karen Blixen (Dinesen 1958), published by the Danish writer in her homeland inside an intriguing collection entitled Anecdotes of Destiny, dedicated to the strange ups and downs of life, to travelling, to the unique and at the same time enigmatic condition of being stranger. This short story was not exactly about either Copenhagen or Denmark but was set in Norway, in Berlevåg fjord to be exact. 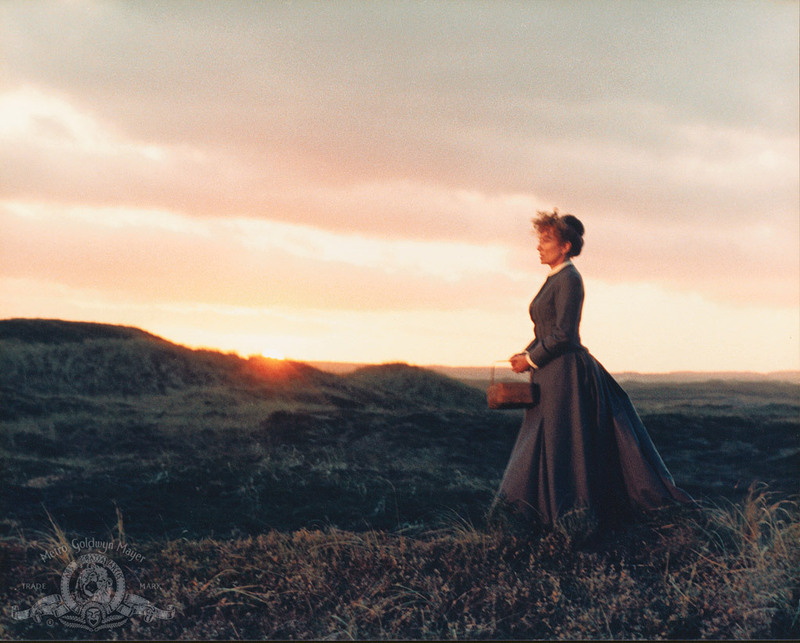 Then, on this tale, in 1987, a famous film was based, Babette’s Feast, set, however, in the Danish Jutland. As everybody knows, the film proved to be a critical and commercial triumph, getting a large number of awards and confirming itself, through time, as a proper reference model, as the prototype of what would have become an actual genre, known as Culinary Cinema. Babette’s Feast offers itself to the general public as the bearer of a possibly universal message, tells about God and the sacred art of eating well, but takes place in a particular context that characterizes everything geographically and culturally. These general issues are addressed by bringing them into a specific dispute between two groups, a cosmopolitan and francophile one, related to the Catholic world, to the aristocracy and the high bourgeoisie of the nineteenth century, bearer of a culture of food that the other group, defender of a rural and traditional Nordic Puritan identity, refuses and is not really able to understand entirely. It’s well worth being recalled that, in the film, the first group is represented by foreigners (General Löwenhielm, opera singer Achille Papin and Babette) engaged in a kind of civilizing quarrel (which is going to culminate in the wonderful performance represented by the dinner) against the recalcitrant members of the Danish community (Mangiapane 2012). Babette’s victory will mark the emergence of a sort of universal gumption but will do so at the expense of the reasons of the second group, Danish, that, in this dispute, will be, not after having strenuously resisted, won. 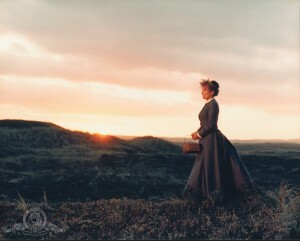 It is also worth mentioning, en passant, that both the short story and the film are proposed by Danish authors (Karen Blixen, author of the first one and, the Gabriel Axel, director of the second one): for the act itself of telling a story of such kind, they take position in favor of Babette, embodying a critic from inside to their puritanical cultural contest. At this point, it may be clarified what is the connection between the best chef in the world and the fictional story of Babette. René Redzepi, called to introduce his cuisine, in his interviews and even during his lectures (for example, during one of his classes at UCLA), refers to the events of the film, in order to describe the state of the Danish food culture prior to his realization as a chef. Paradoxically, then, he refers to himself as a chef devoted to Babette: instead of taking the parts of the group of devotees inhabitants of the remote village in Jutland, he looks at the poor rural Nordic scenario in the same way of her literary and filmic heroine, while announcing the truth of a new possible Nordic cuisine. By referring to a “new cuisine” he doesn’t mean only an advocated turnover of dishes and drinks in the poor setting inherited from tradition. On the contrary, he appeals to a whole way of being in the world, to a new subjectivity (re)-founded revolutionizing the way of being at the table, how to eat, how to relate with the others through food. The terms of this dispute can be resembled in a historical perspective. The memory of the great Danish colonial cuisine, already since the eighteenth century, has been fading due to the advent of a rural and gastronomically poor culture denying any legitimacy to the pleasures of good food. This culture was, perhaps, the clearest sign of the rise to power of a peasant class considered alternative to the Scandinavian aristocracy (Gold 2007). History would have given it the task of establishing the basis of the national identity (it is no coincidence that the Danish independence day coincide with the celebration of the potato, element symbol of peasant cooking), relegating, as remarked by celebrated food historians like Bi Skaarup (Skyum-Nielsen 2011), the haute cuisine to the margins and to the colonization of stronger European cuisines, first of all, the French one. The example of Babette stands against all of this and, after the success of the movie, actually inspires small groups of devotees who are compelled to “betray” their national identity, eating the food of others (of the French in the plot Babette) just to celebrate the culinary arts as it should be. This is the case of many projects inspired to her in Denmark, and, in particular, of that of the group that gathers around the “Babette” restaurant, so entitled not by chance, in Vordingborg, from which both the experience of Noma and the entire new Nordic cuisine (Meyer and Redzepi 2006) come. Why, in order to follow the example of Babette and celebrate the sublime art of eating well, someone has to eat just Cailles en sarcofage and drink just the champagne of the widow Clicquot? The opening of Noma, that is a restaurant of the Nordic terroir, by the owners of the international restaurant “Babette”, it is nothing but an attempt to answer, indeed, to this question. The success of Redzepi is, therefore, the success of a deep cultural operation, which begins as a desire for redemption and demands for a much greater challenge: to establish a cuisine devoted to Babette and, at the same time, related to the terroir of Denmark. A cuisine which comes from the symbolic effectiveness, created to respond to the fiction, to the Babette’s challenge. It is in this spirit that Henrik Pedersen, owner of the restaurant in Vordingborg, called Claus Meyer proposing him the idea of opening a terroir restaurant in Copenhagen, while Claus Meyer (scholar and well-known restaurateur in Denmark), in turn, called Redzepi, young chef, of Macedonian origins (so, like Babette, a little ‘foreigner’) who trained at the school of international haute cuisine of Adrià and Keller: to give substance to the Nordic cuisine in facts. The restaurant has been called Noma, portmanteau of the Danish words Nordisk Mad, Nordic food. It is clear that, at the core of this path, there is not the well-known mechanism of star system tied to the chef of the moment, but rather a large and complex project related to identity, colossally political. The invention of a Nordic cuisine passes through the elaboration of a culinary manifesto, which explicitly aims at overturning the inherited common sense, seeking the complicity of all the players of the supply chain. What is disputed is an idea of territory which acts primarily as a reversal of the logic of the “national cuisine”: saying “Nordic cuisine” is yet a political statement, it means overcoming the narrow mesh of the Danish culinary identity, aiming at the (re)-construction – which is, in every sense, an enlargement – of the lost Scandinavian identity, long overshadowed by the affirmation of northern European nationalisms. Particularly pleasing are the pages where Claus Meyer (Meyer and Redzepi 2006) describes the first period of experience at Noma, underpinned by failures and derision: building from scratch a cuisine of Northern territories, meant, firstly, connecting into networks, for the first time, around Scandinavia, the small producers whose organization was not even able to meet any need of a proper restaurant, promoting forgotten products that could hardly have found a market in the context of mass-production in Denmark, creatively facing the shortage of raw materials in the hard winter season, re-evaluating and reinterpreting traditional dishes too quickly discarded of any gastronomic perspective because of their poor simplicity. 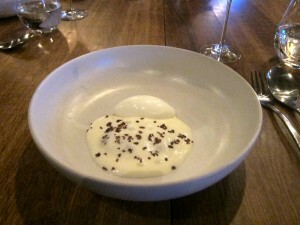 An enlightening example is that of the traditional beer porridge (Øllebrød), repeatedly mocked in “Babette’s Feast”, which finds its redemption in the menu of what would have turned into the “best restaurant in the world.” The treatment that undergoes this simple dish is exemplary of a fundamental prerogative of the new culinary way. First of all, the New Nordic Cuisine seeks to bridge its own gap, promoting the shift of the inherited traditional cuisine into a modern analytical one. 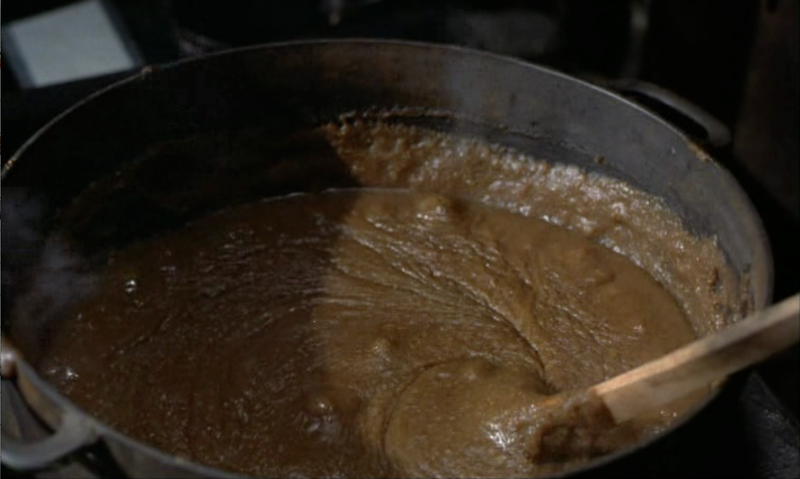 If the porridge in question, in the film, is presented as a kind of formless slop in which all the ingredients are melted, the same porridge, once reinterpreted from the restaurant, becomes a semiotic text, which needs to be consulted and interpreted, since constituted by distinguishable elements, in some peculiar relationship. On the one hand, there is a formless mush in which none of the ingredients is recognizable, generating an effect of indivisible whole; on the other, each ingredient is distinct from the others (rye bread, beer cream). 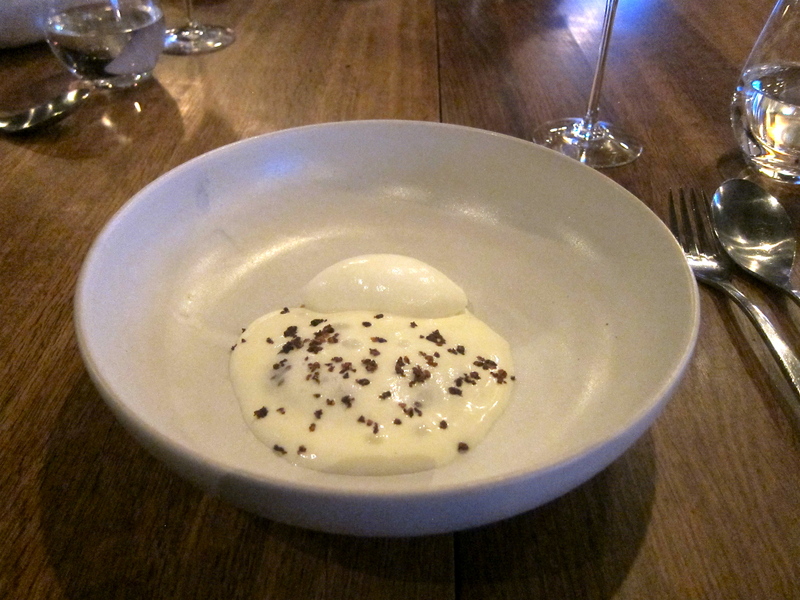 Moreover, the dish is sided by Skyr, cream that is usually matched with Øllebrød in the Danish culinary habit. The dish served at Noma also wants to be an interpreter of this tradition especially (given the international reputation of Noma) to foreigners. Although representing the same dish, the first picture refers to the idea of a synthetic cuisine, pre-modern and community-based, the latter may be assimilated to an analytical cuisine (bourgeois and society-based). The transition from one to another culinary form is indicative of a new configuration of the banquet, in which the dish becomes object of discourse, a sign of itself (cf. Montanari 2004 pp.73-79). But there is more. Together with this (re)-construction of the traditional dishes, the restaurant and its Nordic cuisine proceed on another front. Noting the scarcity (both in quantitative and qualitative terms) of raw materials available in the local scenario in which it operates, especially in the winter months, the restaurant takes position against the inherited culinary pattern used as a parameter of what may or may not be eaten. Such scheme is considered to be the result of an unnatural graft, a legacy of the colonization suffered, too tied to the great European culinary cultures flowering in milder climates. That is why, once again in a strongly political way, the New Nordic cuisine aims at the most profound issue of the culinary identity, which is the fine line between taste and edibility. What does this mean? Common sense connects to the idea of edibility an aura of necessity anchored over a natural order, by definition, considered as general as indisputable. The problem of taste, however, is associated with the idea of variability and relativity (de gustibus non est disputandum) normally referred to cultural phenomena when compared to the factuality of scientific statements. The Anthropological studies (see Levi Strauss 1964, Douglas 1970) have shown how the limit marked by the feed ban links these two regimes: cultures construct and position themselves just for the fact of selecting the food available in their scenario, clearly discriminating what can be eaten from what cannot be, the food allowed by the interdict one, the taboo, so that “good to eat” – as Levi Strauss himself states – becomes one with the “good to think”. Upstream of each culinary act is, therefore, the construction of a food system that chooses, thinks as good what will have to result likewise at the time of being ingested. But cultures, after making such a choice, remove any trace of such a construction, attributing to the scope of natural or of the divine the responsibility of the order, this way established. The edible food can primarily be considered as the result of a selection of this kind, which blends inextricably food and moral duties, sense of food and sense of life. Already Greimas with the notion of “Semiotics of the Natural World” (Greimas and Courtes in 1979 but, on this path, afterwards, Latour 1999; Descola 2005; Marrone 2011) has revealed that the concept of Nature is strongly linked to this form of semiotic operations through which the world becomes significant and the food edible. One reason of the media success of Noma has been its attitude to the journalistic fait divers, culinary-themed. There are many examples of articles and reports focused on the bizarre convivial experience of the restaurant (in Italy, for example, Vizzari 2012), presented as a place where you may eat “strange things”, ants, mosses, lichens, stuff for decadent culinary aesthetes in quest of yet another extravaganza. Furthermore, the success of the famous “Mad Symposium” contributed to this effect. It is a summer festival promoted by the same Redzepi, where the world’s top chefs are invited to try their hand in the invention of new dishes, which often use ingredients typically considered inedible in a succession of culinary odd things, perfect for any society piece of newspapers around the world. It is useful looking at this practices beyond their extemporariness, as blocks of an emerging culinary model. This identity seeks to break the inherited connection which considers good to eat only what befits a good to think scheme imported from abroad. A system which, in the case of Denmark, shows as delicacy grapes where grapes do not grow but thinks the birch wood (served at Noma!) or the famous ants as inedible abomination. Many, perhaps less striking, examples could be made for other raw materials used at Noma (pine cones, algae, and even ash but also hestemuslingers, pilot whales, giant mussels, halibuts, reindeers and so on) that make up a proper “culinary warp”, built, with great effort, by exploring (as told in the Redzepi’s diary 2011) culinary practices considered marginal and forgotten in a discontinuous and divided territory like the Northern European one is. What Noma shows, then, it is that these differences can make a system and be brought back in the public eye. Piece by piece, they represent an alternative to the predominant eating pattern, a strong base for a new and actual culinary culture. Arguably, an effort of this kind is of course the result of an outlander’s look, with reference to the double life of Babette / Redzepi. One of the cult scenes of the movie (which has also become the cover picture of the Italian version of “Anecdotes of Destiny” published by Feltrinelli) sees Babette bending down to pick wild vegetables, unknown to her, during her walks in the Danish countryside. The foreigner Babette was using a sort of tactical approach to the territory, ending up to “try out” what no local would have tasted, even the weeds, because forced by her condition of stranger to (re)-explore the territory, questioning it directly, looking for the variety of flavours denied by the cultural straits the village community used to live. This practice is, nowadays, being revived by Redzepi as a hallmark of his culinary philosophy with the name of “foraging” and immediately becomes fashionable among cooking enthusiasts around the world. Walking around and sampling the wild vegetables naturally offered by the territory, grazing ‘like cows’ means regain a culinary complexity, lost because stifled by too rigid patterns. Foraging emerges as a real semiotic struggle for food variety, as a way of resisting to the simplifications carried by a globalized food culture of which the Nordic countries are among the most obvious victims. It is significant that the stranger Redzepi claims to have acquired the habit of tasting the wild vegetation of the countryside, in Macedonia, his homeland (Palling 2011). His status of foreigner is crucial in this operation of rediscovery of the territory. A rediscovery that must also contend with a lost memory, the Scandinavian identity: Redzepi wants to reconstruct it, trying to restore an order between dispersed and forgotten ingredients and flavours. That’s why upstream of the birth of Noma, there is a journey, a proper culinary (re)-exploration of the Nordic countries that have been visited directly by Redzepi (2011). Even his mood was peculiar. He behaved as a stranger (a Danish turning in Iceland in search of gastronomic delights is obviously considered by his guests as a foreigner), open to surrender to the charm of the encountered places. Such resolutions may be ascribed to a sort of culinary archaeology, concerned with the reconfiguration (that is, to all effects, an invention, in the double sense of construction and discovery) of an entire gastronomic system for long time smothered by homologation (no matter, here, why, whether because of some criticisable aspects of the Protestant culture or, on the contrary, because of the trends of the consumer society and of fast food). Such a system should, however, also adopt a syntagm, built starting from original procedures of assembling the ingredients just (re)-discovered. The choice of Redzepi reveals to be a deviation from his culinary education. Trained at the school of Keller and Adrià, he reaches Noma with an idea of cuisine strongly connected to the role of the chef, meant as a strong cultural subject, Promethean (Marrone 2011), responsible for combining ingredients usually considered irreconcilable, leader of food deconstructions and author of unpredictable reconfigurations of the substance. All of them are operations concerned on thinking cooking as in contrast to the order of things, as a place of contention about the limit, between the human and the natural, the culinary possible and the impossible. Such an attitude arouses peculiar passions: curiosity and wonder in front of the last insight of the scientist-chef, capable of designing the dining experience in his kitchen-laboratory. Rune Skyum-Nielsen, in his introduction to the book / catalogue of the restaurant (Skyum-Nielsen 2011), tells of the first culinary experiences at Noma and how they could have been judged to be slavish application of the culinary techniques learned by Redzepi from the school of elBulli and Le Jardin des Sens. With hindsight, these techniques have been repudiated, on the one hand, because considered repetitive and mechanical reworking of out of context patterns, on the other, because being too free and self-referential, associated with the name of the chef as the sole responsible of the dining experience. It would have been easy positioning Noma as a restaurant of Nordic cuisine that uses the “Adrian” patterns; just adapting them to the Scandinavian context especially for what concerns the ingredients (that is the culinary paradigm according to what we have said above). For a while, it has been working well, except adjusting the shot on the run, after a while, looking for ties that could turn the action of the chef into a subject instrumental to a wider project. The tragic-comic thing about it was that I actually left elBulli with a feeling of freedom. Having the freedom to do what I wanted. But when I opened a restaurant myself, I just used a few of the basic idea from there instead of making good use of my freedom. We hadn’t found our own signature, not even taken a preliminary run at it. I wasn’t listening enough to myself. Instead I went over to establish routines – things that were already in existence and meaningful. Routines that I knew from experience would work, because they have done so at the places where I had previously been. At le Jardin des Sens, the majority of dishes used a stock-based sauce, so to start with I created a Scandinavian cuisine that had a strong flavour of liquid that had been reduced and simmered. This is all right in individual dishes, but pouring reduced chicken stock over boiled Jerusalem artichokes seems pointless to me now. After all, it doesn’t taste much of artichoke then, and instead of a link to the natural habitat of the raw material, the dish acquires a meaty element. The same was true of many of our soups. If we were going to make a pumpkin soup we automatically added chicken stock. We don’t any more’, says René emphatically. It is not important that the chicken stock of boiled Jerusalem artichokes tastes good but the fact that this free approach ends up, on the one hand, as easy cliché, on the other, unjustified. This becomes clear in the second part of the quotation, in which Redzepi refers about the idea of creating the dishes trying to combine elements present together in the same natural environment, in a mimetic tension of the same environment that is not suggested only in figurative terms (the ingredients) but especially in narrative terms: the dishes become stories to listen and these stories, as well as for Babette, do not tell much about the free creativity of the chef than of the Nordic territory re-invented for the occasion. It is worth, at this point, to dwell on why the case of the new Nordic cuisine may be considered interesting regardless of the hype and the charge of notoriety derived from its election as “best restaurant in the world” by the magazine Restaurant. The hypothesis of this work is radical: the new Nordic cuisine is a symbolic effectiveness cuisine (Levi Strauss, 1949). It is an identity project born as a response to a specific challenge, launched, through the fiction, by Babette. Rather than referring to alleged practices and customs inherited from some remote period, or to an even trickier biological continuity in order to seal some myth of origins, the New Nordic Cuisine, as in the famous Levistraussian example of the Amerindian mother healed by the shaman’s chant during childbirth, reacts to a story, derives from a story. Nothing strange on that, if considering that, from the anthropological / semiotic point of view, all traditions are explained in these terms. What is really striking about this example is the clarity with which it has been carried on, refusing communitarian or neo-ethnic naive positions while exhibiting its semioticity as a driving force. The success of such operation is on the eyes of everybody. The New Nordic Cuisine is still a political cuisine, which shatters every national affiliation and looks at reconfiguring it in a wider Scandinavian identity. It is a radical cuisine which, taking seriously the question of identity, works at the deepest level of a gastronomic identity, re-thinking the eating pattern and proposing its own model of what to consider edible. The new Nordic Cuisine might be thought of as an invention of the tradition that exceeds, however, the banality of the conceptions à la Hobsbawm (Hobsbawm, Ranger, 1983), focused on “unmasking” through a historical verification carried out in terms of truth / falsity the ethnic connotations inherited from tradition. The problem is not “verifying” the historicity of the dishes served (historicity, as we have seen, often denied), on the contrary, allowing the translations of them (and, in a sense, therefore, the re-invention) in a contemporary culinary scene, within a properly European culinary culture (of which Babette becomes ambassador in the tale). The new Nordic cuisine is, therefore, a cuisine which ferries an endangered synthetic culinary identity towards its new revival, into an analytical one full of appeal. In that regard, worth noting is the progressive function of such position, in which the call to tradition is used, rather than as an element of resistance, as a catalyst for change towards a contemporary and fully European culinary culture. An example of “translation of the tradition” (Sedda, 2003) which is a brilliant alternative to the stale rhetoric of roots and social and culinary immutability of local contexts. It is a complex cuisine, which elaborates as well as its own original culinary paradigm also a processuality and a compositional aesthetics for the next creative dish. All of this happens, it is worth remembering, from a scope, such of food, historically considered marginal and negligible of actually articulating social relations and of working as a proper language able to mean “something else” than itself. The New Nordic Cuisine is a collective kitchen where the role of the chef, even of the best one in the world, remains at service of the group identity. Descola P. (2005) Par−delà nature et culture, Gallimard, Paris. Dinesen I. (1958) “Babette’s Feast”, in Anectodes of Destiny and Ehrengard, Random House, New York. Douglas M. (1970) Purity and Danger. An Analysis of Concepts of Pollution and Taboo, Penguin Books, Harmondsworth. Gold C. (2007) Danish Cookbooks, University of Washington Press, Seattle. Greimas A.J. e J. Courtés (1979) Sémiotique. Dictionnaire raisonné de la theorie du langage, Hachette, Paris. Hobsbawm E.J.E. e T. Ranger (1999) The Invention of Tradition Cambridge University Press, Cambridge. Latour B. (1999) Politiques de la nature, La Découverte, Paris. Lévi Strauss C. (1949) “L’efficacité symbolique”, in Revue de l’Histoire des religions, t. 135, n.1. Lévi–Strauss C. (1964) Mythologiques I. Le cru et le cuit, Plon, Paris. Mangiapane F. (2013) “Il pranzo di Babele. Misunderstanding nel film ‘Il pranzo di Babette’”, in G. Marrone, D. Mangano (a cura di), Dietetica e Semiotica. Regimi di senso, Mimesis, Milano, 227–259. Mangano D. e G. Marrone (a cura di) (2013) Dietetica e Semiotica. Regimi di senso, Mimesis, Milano. Marrone G. (2011) Addio alla Natura, Einaudi, Torino. Meyer C. e R. Redzepi (2006) Noma: Nordisk mad, Politikens Forlag, Copenhagen. Montanari M. (2004) Il cibo come cultura Laterza, Roma–Bari. Palling B. 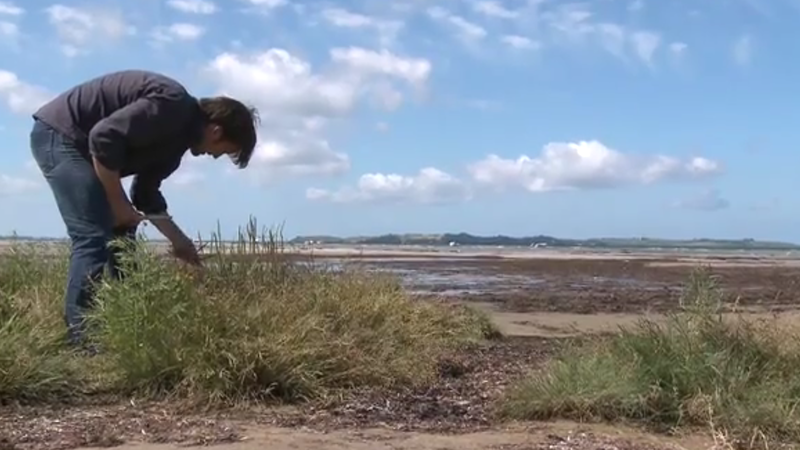 (2011) Noma’s René Redzepi and the Link Between Nature and the Plate, “Wall Street Journal”, online, http://www.wsj.com/articles/SB10001424052748704615504576172072527908838, accessed 5/14/2015. Redzepi R. (2011) Noma: Time and Place in Nordic Cuisine, Phaidon, London. Sedda F. (2003) Tradurre la tradizione, Meltemi, Roma. Skyum−Nielsen R. (2011) “The perfect storm”, in R. Redzepi, Noma: Time and Place in Nordic Cuisine, Phaidon, London, 10–17. Vizzari E. (2012) E per cena muschio e formiche, “L’Espresso”, 38/2012. The article, originally published in Italian in Lexia. Rivista di semiotica, nn. 19–20 (July 2015), is here proposed in English with some minor modifications, on my translation.